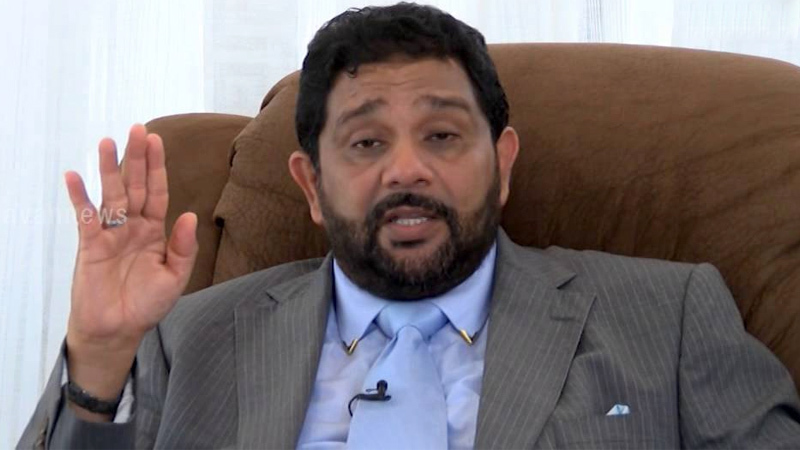 Former Central Provincial Councillor Azad Sally yesterday said that certain elements are trying to fan the flames of racism regarding the Wilpattu resettlement issue. “We would like to request President Maithripala Sirisena to appoint a Presidential Committee with regard to this issue to examine the land deeds owned by the people since after 1948, who are to be resettled in the Wilpattu area, Sally said. “The GA of the area has assured the land deeds of these people will be kept safely and that it proves that these people have ownership to these lands,” Sally said. “If there are any other claimants to these lands, other than the owners,we are totally against it,” he further said. “Namal Rajapaksa allegedly established a Namal-village in the middle of Wilpattuwa, after allegedly cutting down the best Karuwala trees in the Wilpattu. There was no environmentalist to question this,” Sally alleged.Then, the Sri Lankan Navy claimed 5000 acres of Wilpattu for Cashew plantation. No environmentalist questioned it either,” Sally pointed out. Now when the Muslim people are to be resettled in this area, they are trying to interpret it with a racist approach,Sally further pointed out. “We would like the government to be impartial regarding this matter,” Sally added.